There is a myriad of advantages to seeing a kinesio taping practitioner in Northeast St. Petersburg. However, to reap such benefits, you first need to know what it is, how it works, and who can use it. 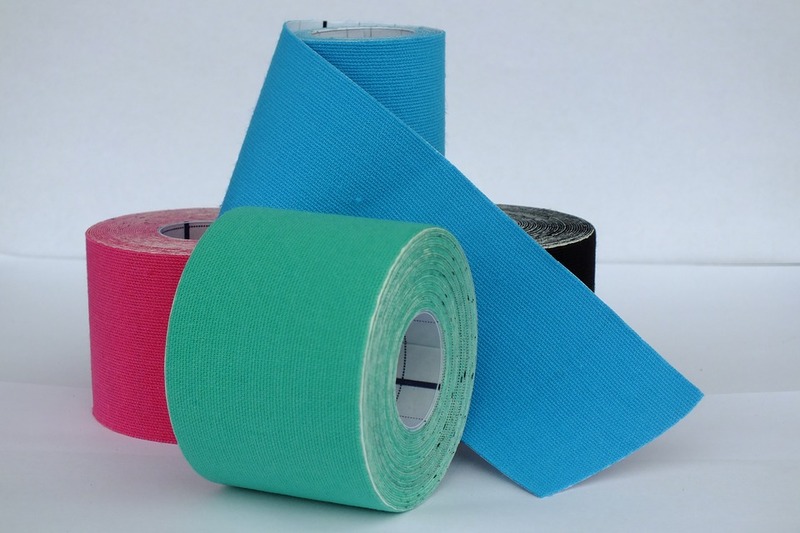 Most people probably recognize the colorful tape worn by professional athletes with an injury. What most don’t realize is that this it’s kinesio tape; it has a handful of differences that distinguish it from traditional tape. One of the main reasons athletes seek a kinesio taping practitioner is because traditional tape restricts or limits the movement of a joint or muscle. Conversely, KT stabilizes and supports an injured area without hampering one’s range of motion. Kinesio tape is a lightweight, breathable material that enables ventilation and airflow circulation. You apply both tapes directly to the surface of the skin. However, KT is generally more convenient, practical, and efficient for chiropractic patients in the Northeast St. Petersburg area. Also, it can withstand sweat and water without prematurely peeling. Therefore, patients can wear the tape for days at a time. Kinesio tape either activates or inhibits a given muscle. When applied in a particular direction, the tape creates tension that influences the surrounding tissue and nervous system. In turn, either circulation increases or inflammation decreases in the affected area. Who Should See a Kinesio Taping Practitioner? Now that you understand how kinesiology taping works, it should be easier to consider the variety of ways to use it. When used in combination with other types of chiropractic care, such as adjustments, massage and physical therapy, nutritional counseling, and corrective exercises, patients can heal faster. At Reza Chiropractic, we use kinesio taping for both our chiropractic and training patients in Northeast St. Petersburg. We use these methods to treat injuries and aid in speedy recovery. We also apply them to prevent ailments from occurring in the first place. If you think kinesiology taping is a treatment you could benefit from, it’s highly recommended you see someone trained and experienced in this sector of chiropractic care. The effectiveness and success seen from this tape will come down, in large part, to the application techniques used by your kinesio taping practitioner. There are a handful of methods to use; the one that is best for you comes down to a number of factors, such as the location of the pain. In most cases, practitioners apply the tape on the longitudinal axis (meaning vertically, not horizontally). Furthermore, the stretchy material must be taut but not so much so that it will restrict natural movement. Why Choose Dr. Reza Ghassemi? Kinesiology taping is not right for everyone, but the practice is certainly something to consider when thinking about chiropractic care services. By choosing a professional who is also a kinesio taping practitioner in Northeast St. Petersburg, patients ensure access to all the traditional treatment services and techniques – from manual adjustments to lifestyle advice – while also getting the option of incorporating KT therapy. The latter can help enhance and expedite the process of building muscle, improve strength, and promote overall better health. Since suffering his own neck injury in his career as a semi-professional rugby player, Dr. Reza Ghassemi exercises his passion for studying and practicing the musculoskeletal and nervous systems; it is what led him to treating patients throughout the Tampa Bay and Northeast St. Petersburg areas for over a decade. As your kinesio taping practitioner, Dr. Reza Ghassemi provides individualized treatment and recovery plans that include the most efficient methods of chiropractic care possible. To learn more or book an appointment, give us a call today at (727) 526-7700.